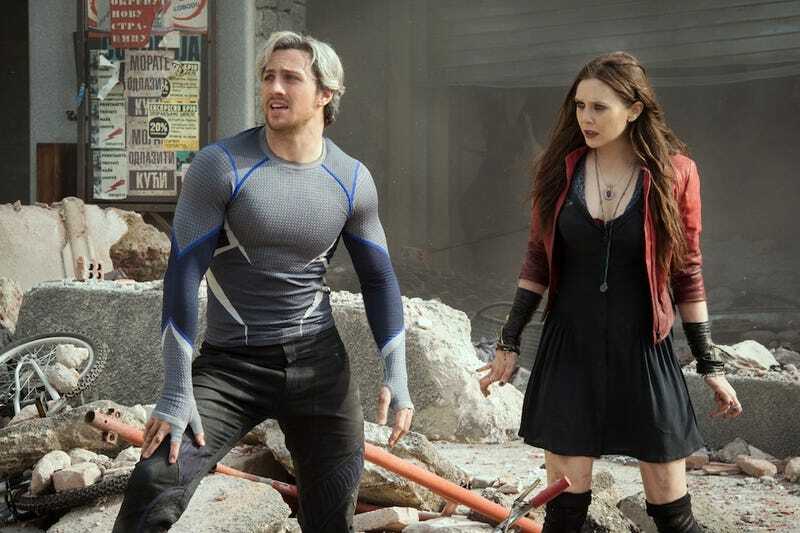 Marvel has released a prequel comic to the Avengers: Age of Ultron movie, and it reveals a bit about the origins of the Maximoff twins. Specifically, it explains where they got their superpowers, since mutants aren't allowed to exist in the Marvel Cinematic Universe. Spoilers ahead! Although Quicksilver and Scarlet Witch are Magneto's children, the fact that Fox has the rights to the Master of Magnetism and all things mutant has always meant that Age of Ultron couldn't mention this relationship or their classic origin. So the fans' next guess was that the brother and sister would be Inhuman, i.e. people given special powers by the Terrigen Mists — which was a reasonable guess, given that the Inhumans (and the Mist!) were recently introduced in the Agents of SHIELD TV series and because Marvel has an Inhumans movie in the pipeline. It appeared Marvel was simply laying more groundwork for their cinematic universe, as they're wont to do. But no! In the awkwardly titled Avengers: Age of Ultron Prelude – This Scepter'd Isle digital comic by Will Corona Pilgrim and Wellinton Alves, it turns out that Baron Von Strucker has been using Loki's staff to mess with people and unlock powers within them, which includes Pietro and Wanda. Given that this is pretty much exactly what it looked like when Von Strucker popped up with the twins in the Captain America: The Winter Soldier post-credits scene, I feel a little silly that we all jumped to find more complicated origins when the obvious answer was just right there. Oh well.